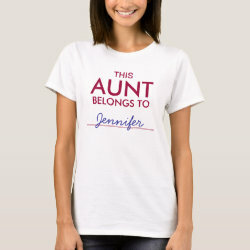 This cute customizable design will let everyone know who this aunt belongs to. Customize the shirt by putting your name on the line. This will make a great present for auntie on Christmas or her birthday!